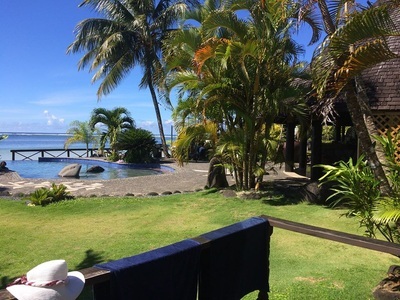 Le Lagoto Resort & Spa consists of 11 rooms in total - five Beachfront Bungalows located on the front row of the resort and five Ocean View Bungalows located a row behind - all with uninterrupted views of the ocean. There is also a family house on site- Jim's House, it is an older property and suitable for larger groups and families. 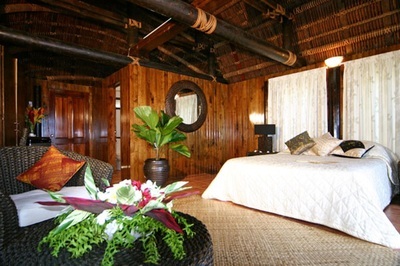 Our Beachfront Bungalows are built in traditional Samoa style, with contemporary features for your comfort. 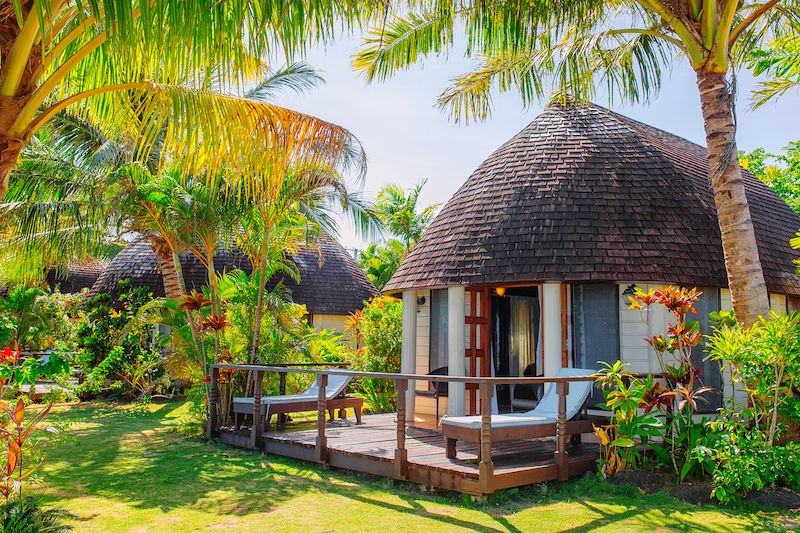 All five Beachfront Bungalows are located along the front row of the resort, providing uninterrupted views of and access to our beautiful beach. Complimentary tropical breakfast included per guest, daily. 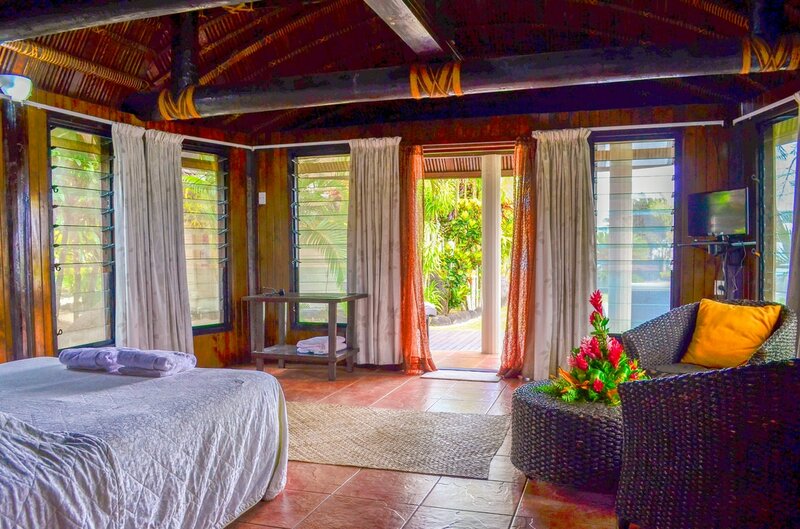 Our Ocean View Bungalows are built with a similar look and feel to the Beachfront Bungalows, with the same contemporary comforts. 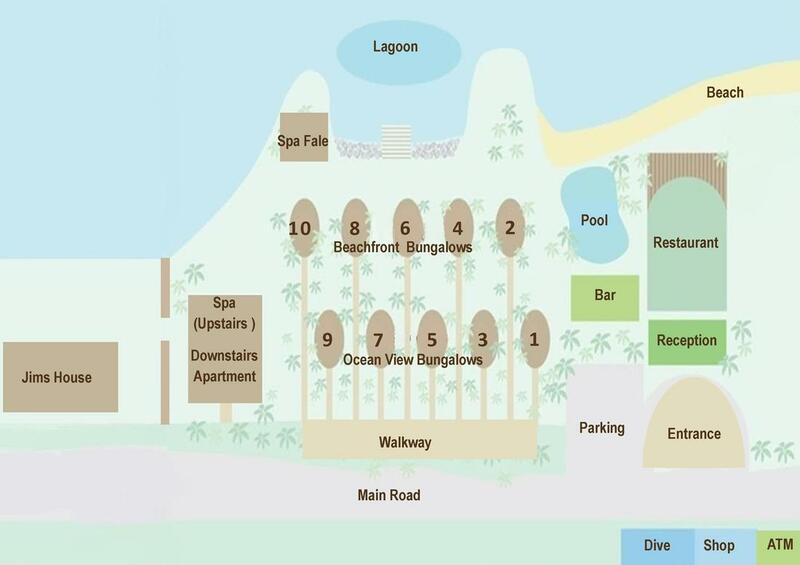 Our five Ocean View Bungalows are located in the row behind the Beachfront Bungalows and have views out to the lagoon. 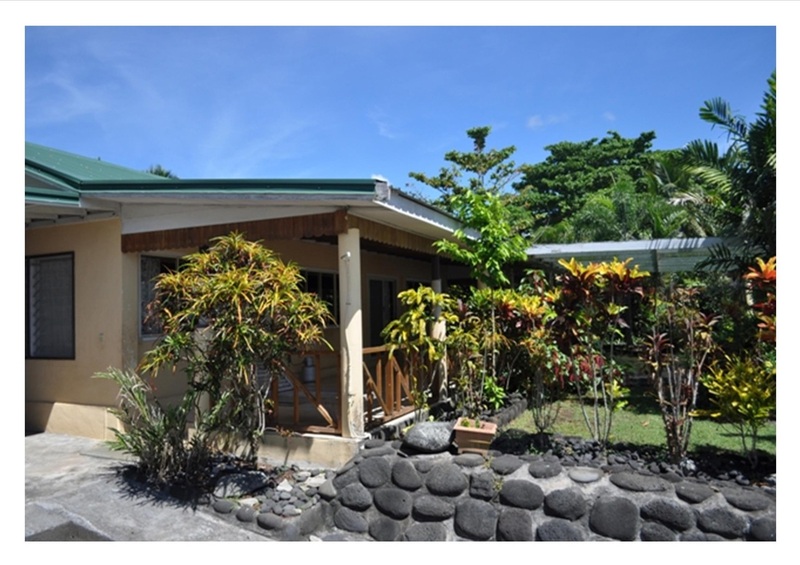 This family house is an older property on the resort and can only be booked directly. Please note, this is an older property on the resort and is not in the style of bungalows. 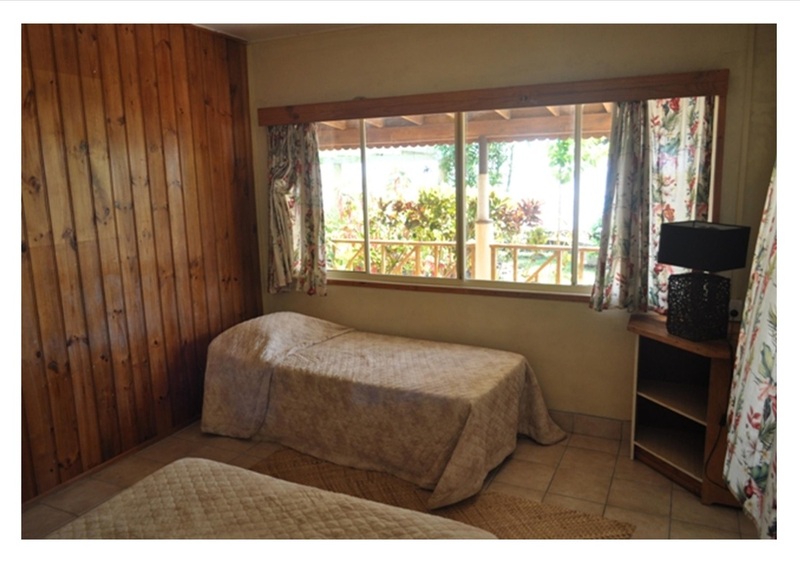 First bedroom with one queen and one single bed. Second bedroom with one queen bed. Two private bathrooms with hot water. Two walk-in wardrobes connected to bedrooms. 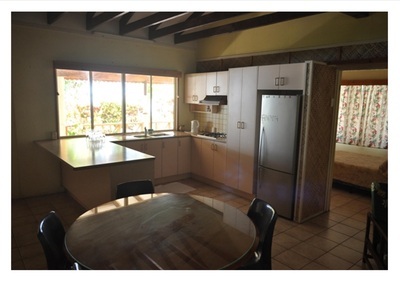 Dining table and chairs, fully equipped kitchen, refrigerator. Screen doors and louvered windows. Large living area with sofa bed. 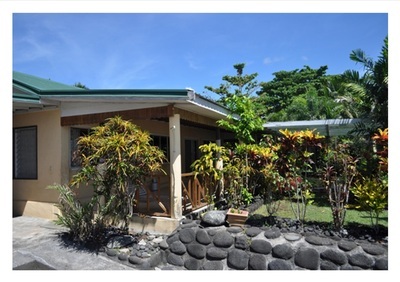 Outdoor setting, lush gardens and boat ramp with direct access to the ocean. A non-refundable 25% deposit is required at the time of booking and the remaining balance will be charged to your credit or debit card one month (31 days) prior to your check-in. If your reservation is made within one month (31 days) of your check-in date, the full amount will be charged to your credit/debit card at the time of booking. ​non-refundable deposit as the cancellation fee. 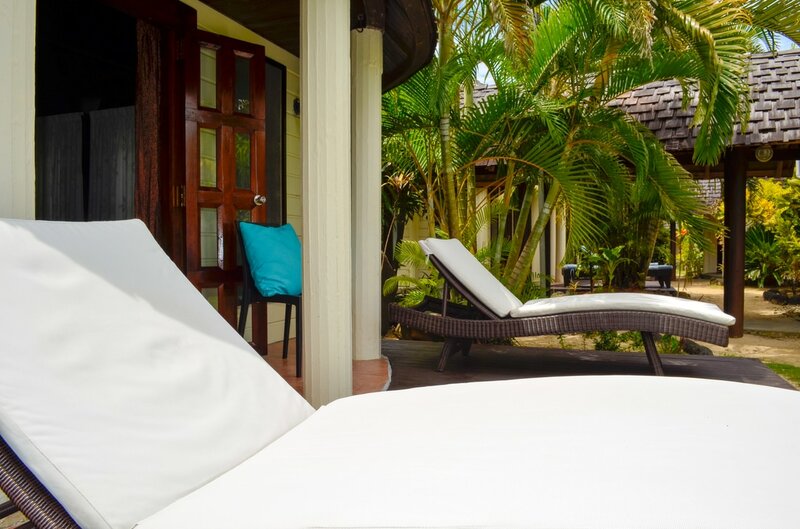 Cancellations made inside one month (31 days) of check-in, with written notice, will be charged the full cost of the booking as the cancellation fee. No shows, or days not used due to delayed arrival or premature departure, will be charged the full cost, as per the original booking. Note, shortening your stay is also considered a form of cancellation — no refund will be provided if you choose to arrive later, or depart earlier, than indicated in the original booking. No amendments to reduce the length of your stay will be accepted within one month (31 days) of the check-in date. 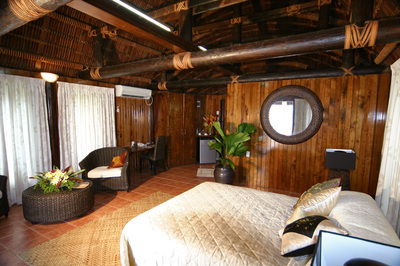 All hotels in Samoa have cancellation policies. Travel insurance is highly recommended.